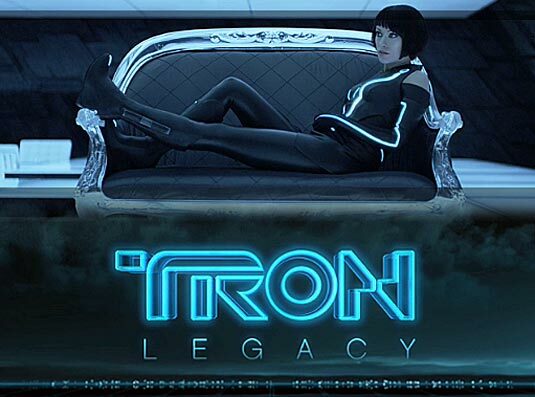 Probably the kindest thing I can say about Tron: Legacy is that it has quite a bit in common with it’s predecessor, in that that movie didn’t make much sense either. However, the original Tron did have it’s charms. Charms that Tron: Legacy decided it could do without. In short, this movie is an unholy mess. Now, I’ve never run a multi-billion dollar entertainment conglomerate, so I would never presume to second guess the fine folks at Disney, but hiring someone WHO HAS NEVER DIRECTED A FEATURE FILM BEFORE might not have been the step I would have taken if I wanted to launch a new franchise that I thought could equal Pirates or Avatar. The one thing this movie doesn’t lack (other than bad acting, a horrible script, and also credit for being the only movie I’ve ever seen that made me hate Michael Sheen) is ambition. The movies that this movie THINKS it is are very good sci-fi epics: Blade Runner, The Matrix, and The Fifth Element. The sad reality is that the movies that this film actually resembles (Battlefield Earth, Tim Burton’s Planet Of The Apes, Star Wars: Phantom Menace come to mind) are not very good sci-fi epics, and unfortunately neither is this. Now, there is something of a plot here. Kind of. But the best favour you could do the movie is to not ask too many questions about it, or even think too hard about it. This film had a lot of things going for it at first, the least of which is a rabid fanboy audience that wanted a GREAT Tron sequel. Unfortunately, Legacy never realizes that potential, and instead delivers a hackneyed “Messiah for a digital age” cliche that we’ve seen before, and in fact saw in Tron itself almost 30 years ago. The score by Daft Punk, which is pretty much a love letter to the scores of early ’80’s John Carpenter films. Plot that doesn’t make sense at all, and that still seems 5 years out of date in regards to current technology. The incredibly poor decision to make/let Jeff Bridges pull out “The Dude” at the climax of the movie. The beginning, middle, and end. This entry was posted in Movies and tagged Tron, Tron: Legacy. Bookmark the permalink.